Syrian S-300 Ready to Use? No Comments on Syrian S-300 Ready to Use? 1. IMINT dating from February 5, 2019 shows that three of the four SA-20B tractor erector launchers (TELs), which were deployed in the Masyaf hills (Hama province) in October 2018, are now erected. When TELs assume vertical position, the SAM system is usually combat-ready. The company ImageSateliteInternational (iSi) has run a SAR filter analysis on the IMINT evidence, which concluded that the TELs are not dummies. However, the iSi analysis does not show any engagement or acquisition radars near the TELs. While the lack of radars could indicate that the SA-20B is not fully operational yet, it is also possible that the system is linked to Russia’s SA-21 96LE “Cheese Board” and 92N6E “Grave Stone” radars, which are deployed only 1.3 km away. The latter is a plausible explanation, since Russia vowed to integrate Syria’s air defense network with its own in late 2018. Alternatively, the Masyaf hills might be a temporary training/IOC deployment, before the SA-20B is relocated to Damascus, Syria’s most important area and bi-monthly target of Israeli raids. #ISI Assesses: Three #Syrian #S300 launchers (out of four) are probably #operational. What about the fourth launcher? 2. Israeli Air Force (IAF) raids in Syria have completely stopped after the large-scale ground attack/suppression of enemy air defense (SEAD) raids on January 20, 2019. This is likely due to ongoing negotiations between Israel and Russia regarding the use of the SA-20B in Syria (see 6). 3. 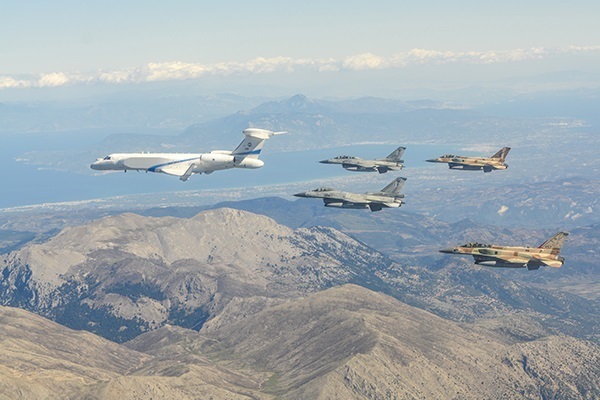 IAF and U.S. Air Force (USAF) airborne ELINT and SIGINT collection sorties over the Syrian coast spiked in early 2019. USAF Boeing RC-135V, RC-135U, P-8 Poseidon and IAF Gulfstream G550 Nachshon Aitam 676 aircraft made bi-weekly appearances on open-source ADS-B receiver platforms. The IAF-USAF intelligence collection sorties likely aimed to determine the enemy’s electronic “order of battle”, including frequencies, radars and overall sensor characteristics as well as locations, while also monitoring other objectives such as Iranian weapons transports to Syria and the activities of the Russian Navy’s Mediterranean Task Force in Tartus. 4. The previous indicators are likely linked to a notice to airmen (NOTAM) issued by Syrian authorities, which informs of a potential anti-aircraft artillery risk for aircraft up to 200 nautical miles (396 km) outside Damascus. The NOTAM is in effect from January 18 to April 18, 2019 and mandates commercial operators to conduct their own risk assessment and exercise caution. It is virtually certain that the NOTAM points towards Syrian air defense drills involving long-range SAMs. The January-April time frame coincides with the expected IOC/completion of training for the Syrian Arab Air Force (SyAAF) air defense units. If Russia is indeed serious about integrating the Syrian and Russian air defense networks, the drills likely rehearse force integration and interoperability, featuring both SyAAF and Russian SAM systems. Notably, the NOTAM’s 200 nm risk range coincides with the maximum engagement range of the SA-21-compatible 40N6 SAM, which entered into service in late 2018. While the NOTAM is necessary for the safety of civil aviation (especially for Beirut, Tel Aviv, and Euro-Arabian transit flights), the unusually long time frame of the NOTAM likely serves to impede adversarial intelligence collection efforts (see 3.). 6. Russia has a bad track record of SAM-induced aviation accidents. With view to the Malaysia Airlines Flight MH17, which was downed by Russian separatists/servicemen, and the Ilyushin-20 aircraft, which was destroyed by the SyAAF near Latakia (regardless of IAF interference), Moscow will likely take adequate measures to mitigate the risk of friendly fire and significant collateral damage in the future. 7. The SyAAF already lost three SA-22 Greyhounds (Pantsir S-1/2), Russia’s premium point air defense systems, and countless other auxiliary equipment such as an SA-5 engagement radar and a ultra-high frequency early-warning sensor to the IAF. Even the most tactically important air defense locations (Mezzeh and Damascus International Airports) were either caught off guard or overwhelmed by Israel’s standoff and self-sacrificing ordnance. 8. Despite the loose Russian-Iranian cooperation in Syria, the two countries do not have a mutual-defense agreement and Moscow feels no obligation to safeguard Tehran’s assets. In fact, the Kremlin has tolerated the IAF’s operations in Syria over the past years. Iranian officials, including the Hashmatollah Falahatpisheh (the chairman of the Iranian Parliament’s National Security and Foreign Policy Committee) have publicly condemned Russia for preventing the SyAAF to use the SA-20B during the IAF’s January 20 raid. Russia’s only red-lines are safeguarding its own military assets and preserving the SyAAF’s air defense systems, which were necessary to deter U.S. regime change attempts in the past. The transfer of the SA-20B to Syria is best understood as an act of deterrence rather than an act of aggression towards Israel. Overall, Russia wants more transparency and consultation with Israel in the spirit of the (unofficial) bilateral deconfliction line. The Russian approach seems to be successful. In a meeting in late February Netanyahu has reportedly supplied Putin with intelligence on IRGC targets that Israel plans to prosecute, while Putin allegedly assured his counterpart that the SA-20B will not harm IAF jets. 9. Since there is no known SA-20B deployment in the Damascus area, the IAF’s traditional standoff engagement flight paths are not yet threatened. 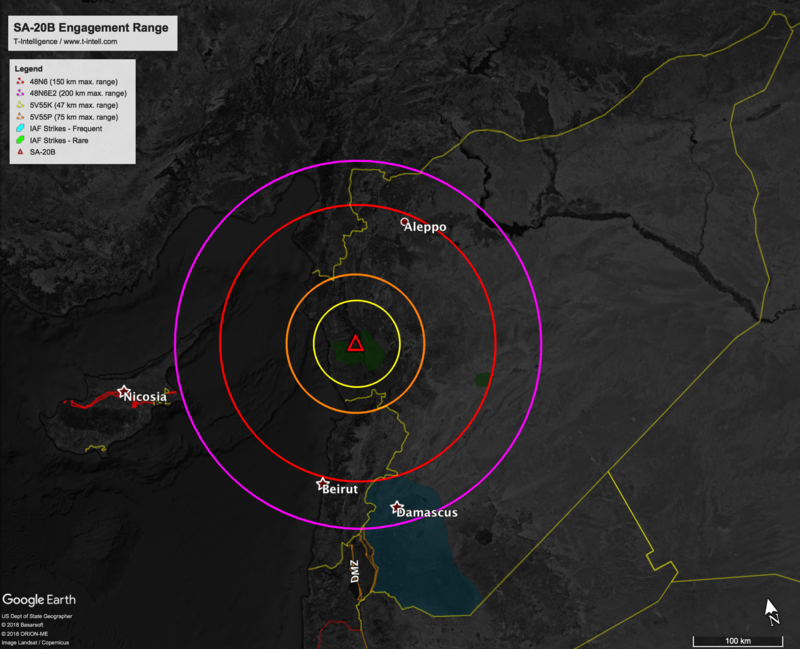 While long-range 48N6E2 SAMs (designed to counter aircraft and ballistic missiles) fired from the Masyaf-based SA-20B can engage targets over Damascus city, kill probability on the range edge will be very low, especially against low observable (LO) munition. However, the IAF will encounter significant political-military hardships, should it wish to prosecute the Iranian missile production and storage facilities in Hama province, which the IRGC deliberately established in close proximity to the Russian SAM systems. In this situation, closer Israeli-Russian coordination (i.e. intelligence sharing, pre-strike notifications) rather than unilateral military action could enable the IAF to reach deep into Syrian airspace. 10. If cooperation with Russia fails, the IAF has a number of (last resort) options to bypass or suppress the SA-20B. Israel has trained to defeat the advanced SAM system ever since Iran acquired the SA-20 (S-300PMU2/export) in the early 2010s. The IAF regularly conducts joint exercises and exchanges intelligence with allied/friendly air force operating the SA-10 (S-300PS) or the SA-20A (e.g. Hellenic Air Force, U.S. Defense Intelligence Agency, Ukrainian Air Force). 11. Besides LO anti-radiation “suicide” munition (e.g. IAI Harop), the combination of the Israeli-upgraded F-35A (F-35I Adir) in stealth mode and the recently acquired Ukrainian-made Kolchuga-M electronic support complex represent a joker card for the IAF. However, knowing that both Russia and Iran are very interested in registering the F-35’s combat performing radar cross section (RCS), the IAF needs to be very smart about when and where it employs the aircraft in “stealth mode”. While the IAF has already used the F-35I Adir on two unnamed fronts (likely Syria and Gaza), it is highly likely that its very-low observable (VLO) characteristics were not exploited. Initial Operational Capability (IOC) refers to the minimum operational threshold of a system during the post-production deployment process. Inherently, IOC refers to the first time a system is turned on for final refinements before proceeding to Full Operational Capability (FOC). Depending on the defense product, the transition from IOC to FOC could take from several months to a year. Call sign "HARM" is the founder and director of T-Intelligence. He oversees the task forces and focuses on military intelligence and foreign terrorist organizations/ COIN. Having gained in-field experience in Turkey, he specializes in Middle Eastern security. He is involved in various projects that aim to strengthen the Transatlantic bond. HARM is completing a postgraduate degree in Security, Intelligence and Strategic Studies jointly awarded by the University of Glasgow, Dublin City University and Charles University Prague.